This blog describes about create only page contents without header and footer in Drupal 7. All of you know almost all of the pages in Drupal have header and footer. Suppose you want to create a page without header and footer in Drupal 7. Is it possible? Yes, it is possible in Drupal 7. You can create a page without header and footer using 'delivery callback' in hook_menu. Drupal provide a option to create page without header and footer. Let see the below code for render a page without header and footer in Drupal 7. You could see the page without any header and footer when you view page in a browser. Now I've hope you how to render a page without header and footer in Drupal 7. This blog describes about how to add a new menu item into menu like main menu, user menu in drupal 7. We can create a menu item using hook_menu in drupal 7. Can we add menu item into already created menu in drupal7? Yes you can add a link into menu using hook_menu(). 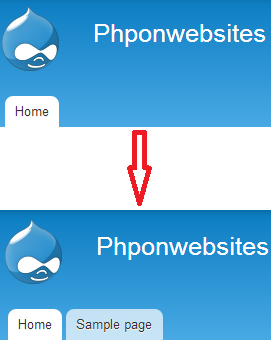 Consider below program to add new menu item into main menu in drupal 7. You need to clear cache to see created new menu item in main menu. Now i’ve hope you know how to add new link programmatically to already created menu in drupal 7.